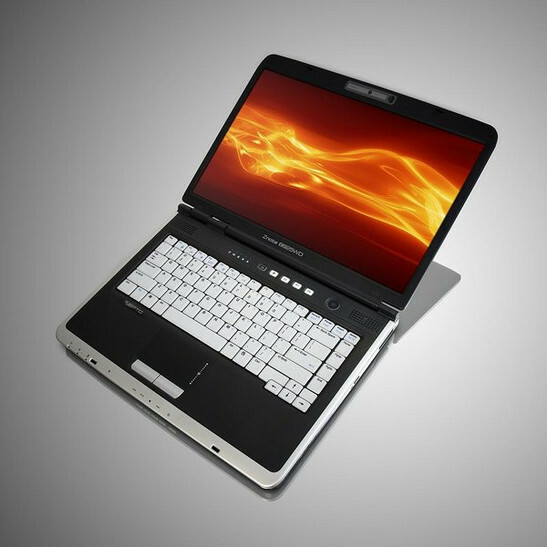 The Zepto Znote 6625WD is, because of a Core 2 Duo processor and 8600M GT video card with 512 MB video memory, a powerful 15.4" notebook by the Danish company Zepto. 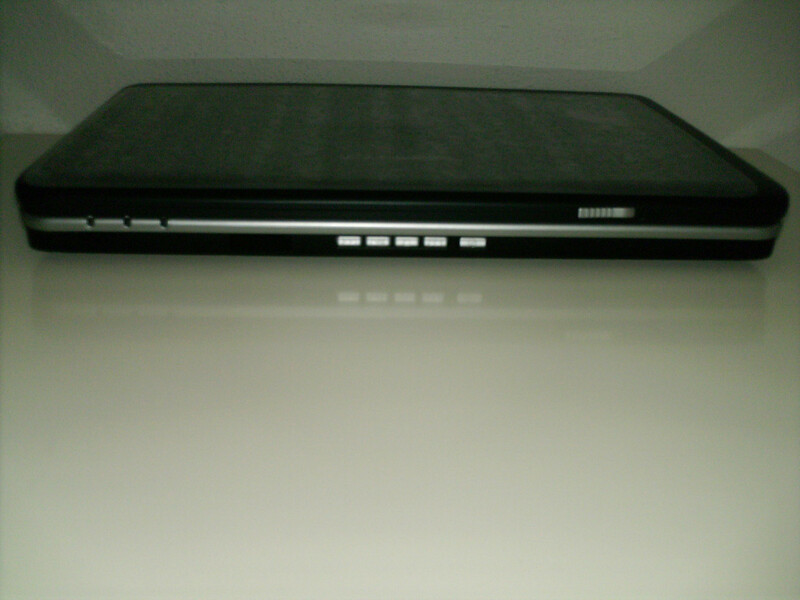 In the following review you can read how "maati" one of our forum user liked this notebook. The scope of delivery of the Zepto Znote 6625WD is rather poor: An AC-adapter, a driver-CD for Windows Vista (x86 and x64) and Windows XP x86 and else... nothing. A printed user guide is missing as well as the adapter for the TV-Tuner. 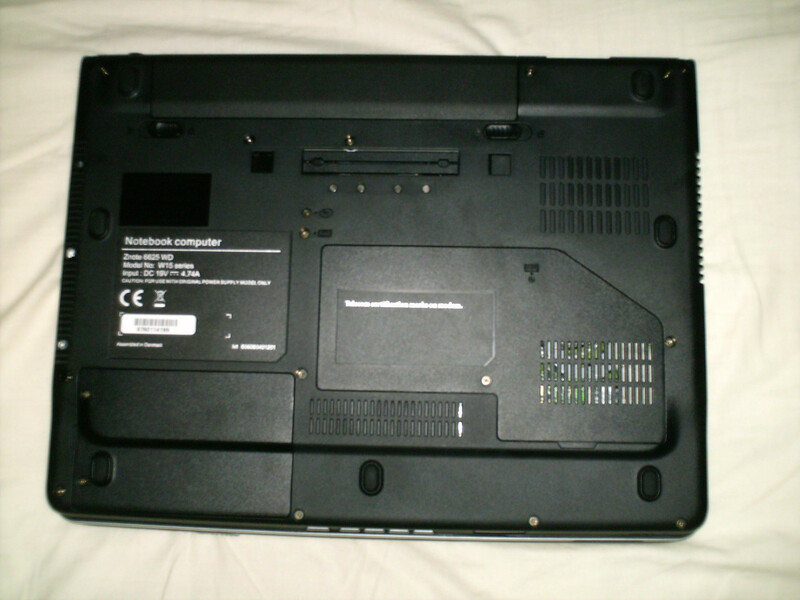 Furthermore, the port of the TV-tuner was covered with a plastic part, which could not be removed. I was unable to prove, if a TV-tuner was actually built-in, because it was not possible to completely download the driver from Zepto's FTP server. 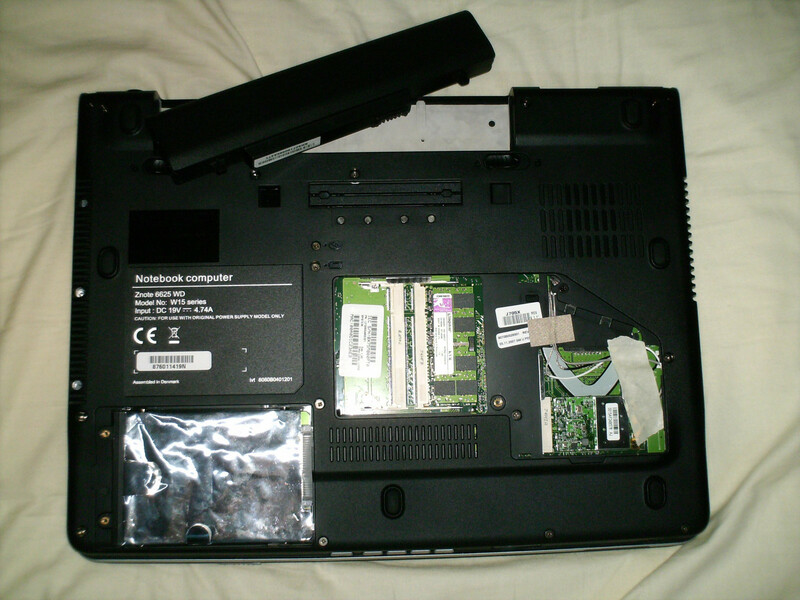 The case was developed by the company Zepto itself. Zepto originates from Denmark and is similar popular there than Dell in Germany. Similar to Dell Zepto also uses the BTO (Built To Order) concept, i.e. each customer can completely configure the notebook according to his demands. 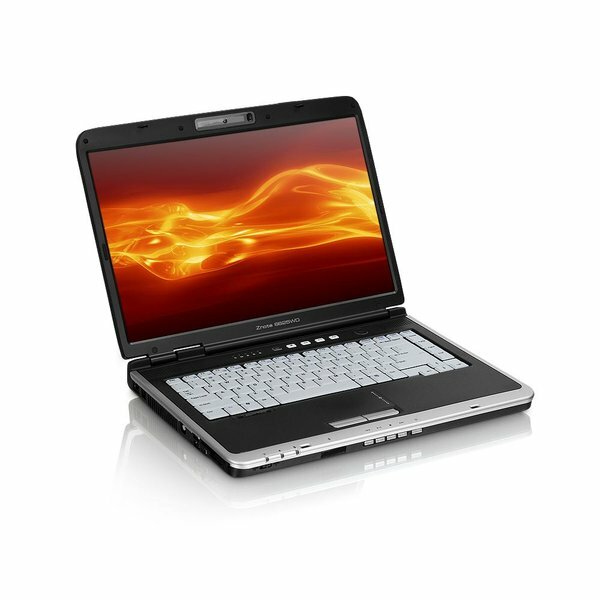 One advantage is that each customer receives a notebook which is completely adapted to his demands, another one that also special hardware like hybrid hard disks, integrated TV tuner, or 800MHz DDR2-RAM can be offered. 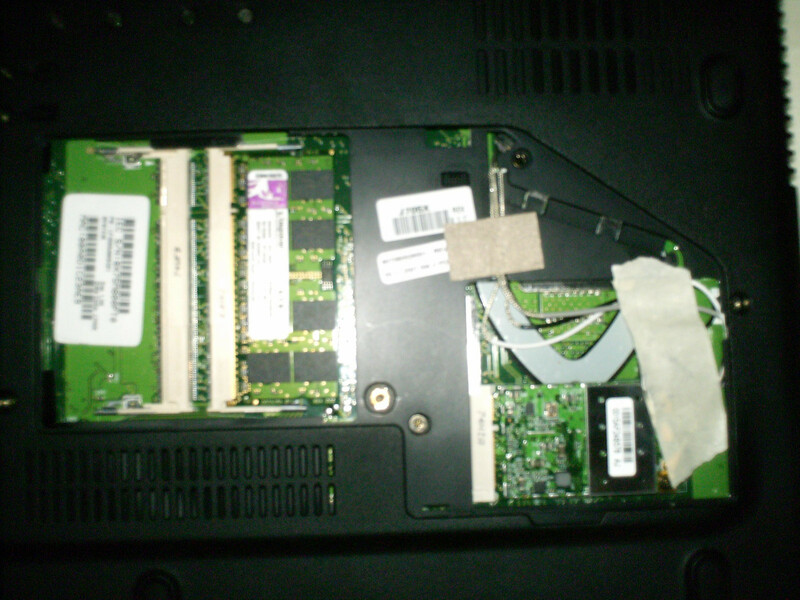 The notebook can even by upgraded by Intel's TurboMemory without loss of warranty. The guide describing how to do this can be found in the frequently visited Zepto forum. These equipment properties are seldom found by other companies. Also the service (official forum, telephone) is alright. 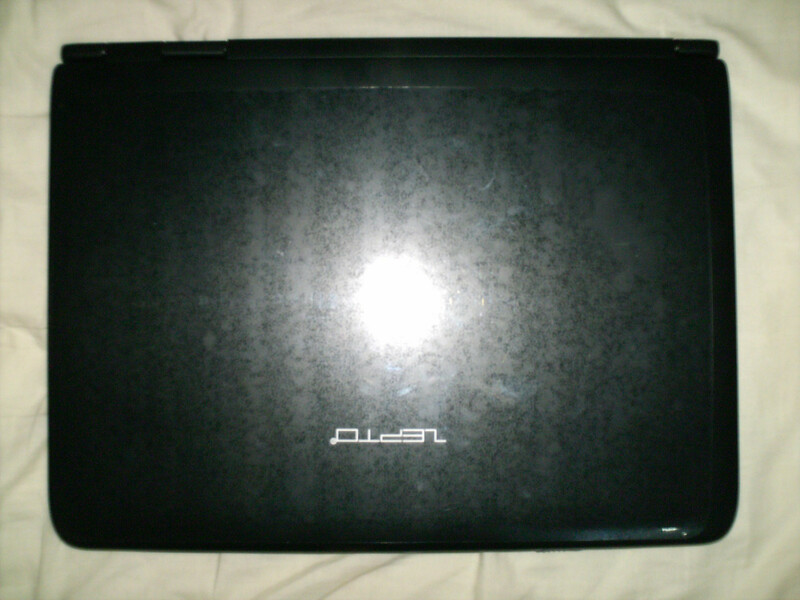 The case is mostly of blacked coated, as it seems, high-quality plastics. 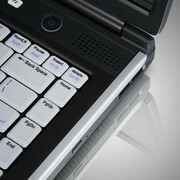 The shape of the case is not special at all, even the bright-gray keyboard is standard. 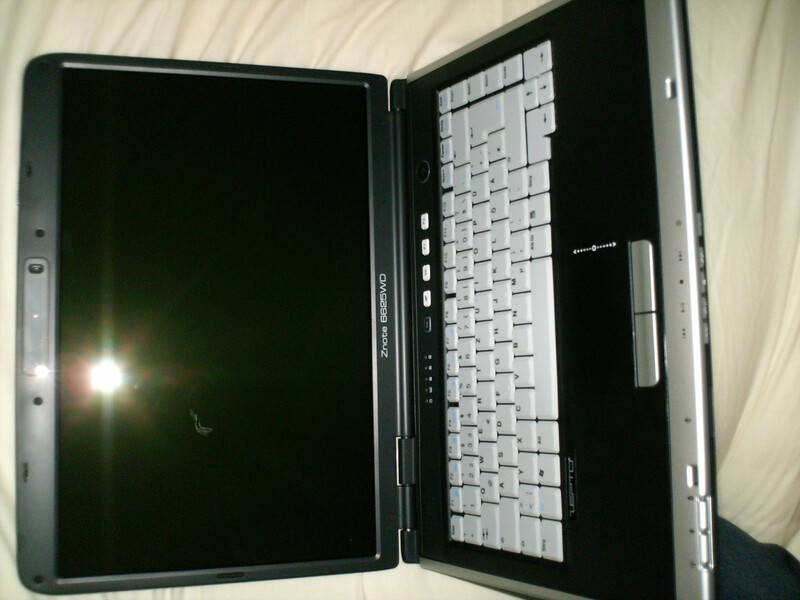 The top side is framed by a silver coated plastic molding, which fits more or less to the bright-gray keyboard. In total this three color design looks very decent and convincing. 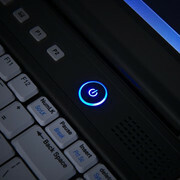 The LEDs of the round Power-switch and all of the status indicators are mostly blue, besides of the orange Bluetooth-LED and the orange charge status indicator. The case is very robust, it can hardly be deflected by two hands and only yields by about half a centimeter by applying really big force. The same is true for the keyboard and the display cover. 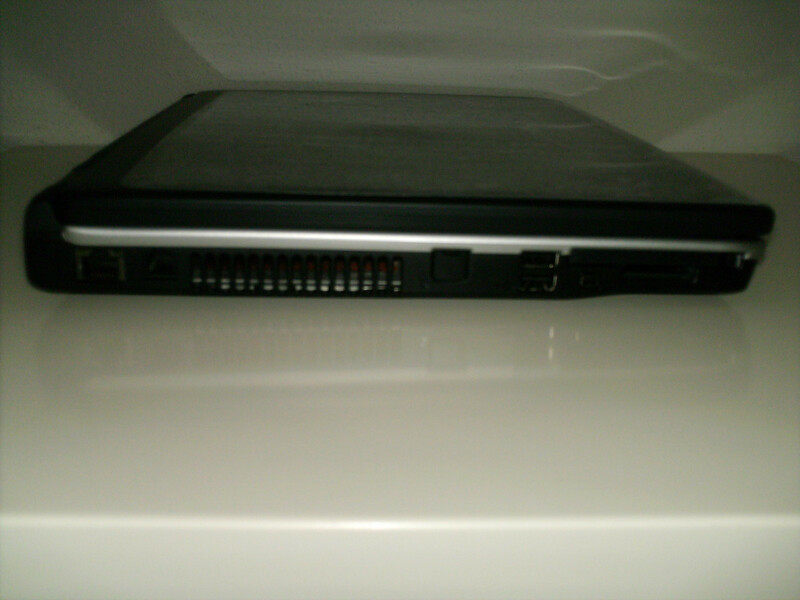 So, display cover and case are very flexural rigid and can hardly be deflected in any way. Its a waste of time to look for uneven gaps. However, if you only slightly push the display cover in, you'll immediately see that the picture of upper display part completely blurs. The display can easily be opened, and also very easily adapted to new positions. This property can be rather disturbing, when used while going by train. 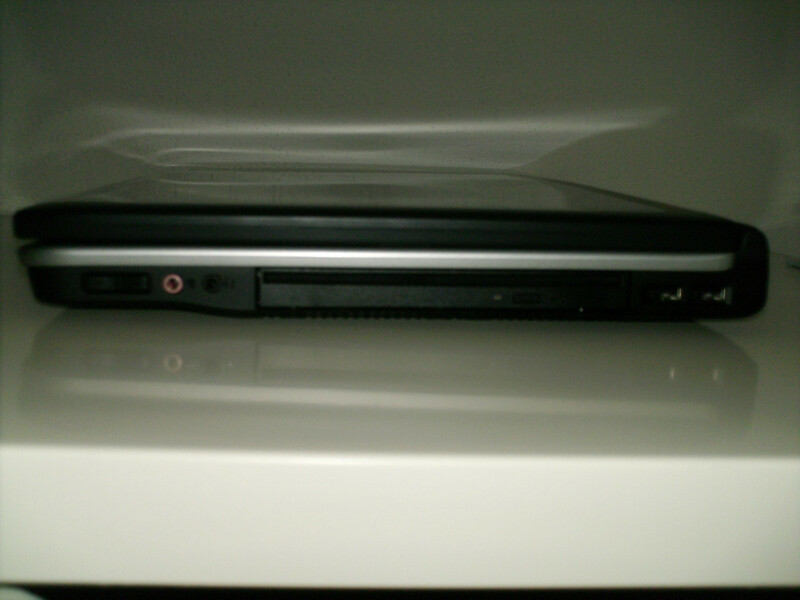 The position of the transport hook, and the slider at the right side of the display cover, are alright. DVI, HDMI, or gimmicks like eSATA are not provided. 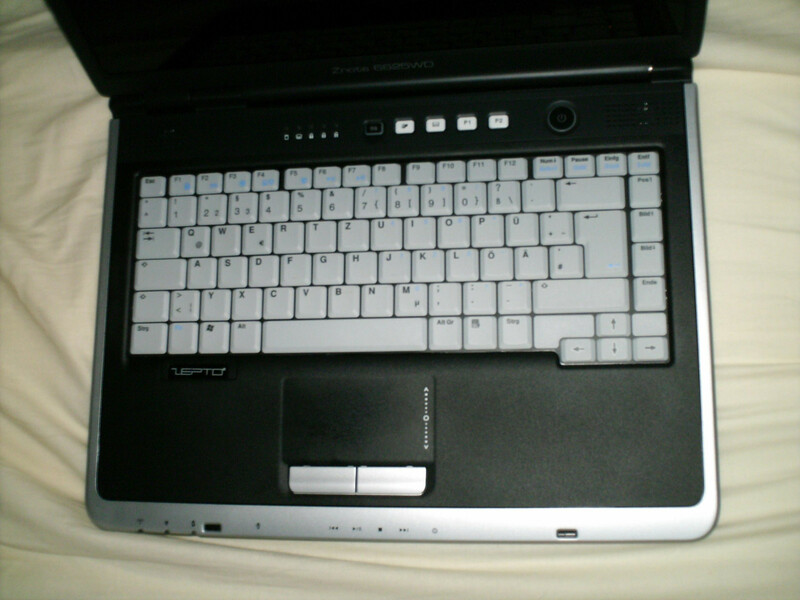 The keyboard is a standard 15,4"-notebook keyboard with additional pos1, page up/down and end keys. The keys clearly clatter during typing and also wobble. The gaps of about one millimeter between the groups of four of the F-keys were not necessary. Nevertheless, the point of pressure is comfortable and typing feels good. The touch pad is colored the same way than the case and is only a little bit lower than the surrounding case without any gap. So, it looks really noble. It's surface is rather coarse, and, so, very user-friendly. Also the size of nearly 8,5x4,5cm is very spacious and user-friendly. Furthermore, the Znote has four programmable hot keys next to the display, a camera hot key and five hot keys (rewind, forward, play/pause, stop, power) at the multimedia panel at the front of the case. 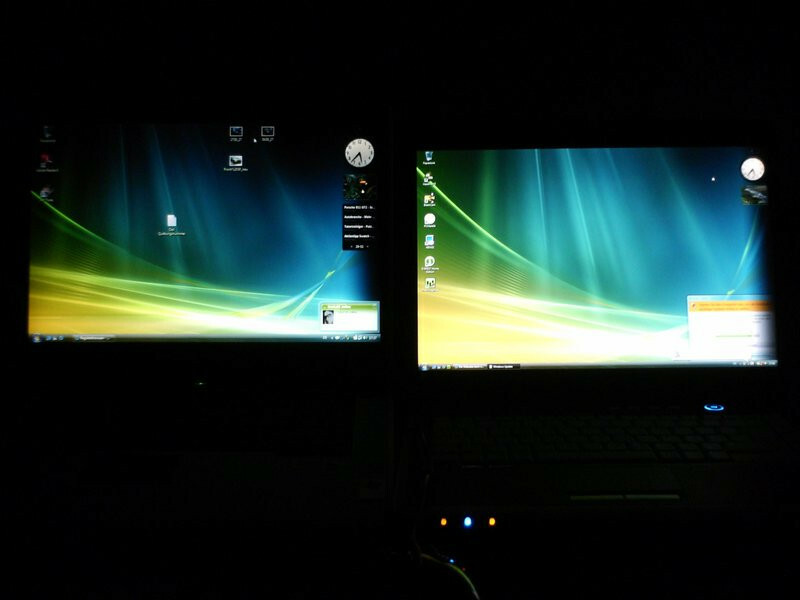 For comparison: Display of a Medion notebook (136 cd/m2, left) and the Zepto display (right). The 1680x1050 Pixel WSXGA+ UltraCrisp-display is not for nothing called "one of the best currently available displays at the market" by Zepto. 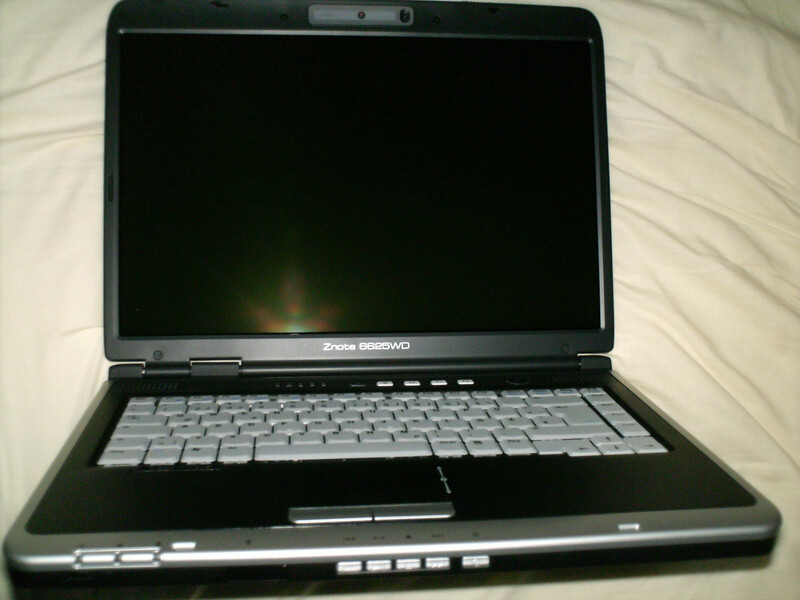 The brightness is brilliant, during night, you'll might even need to dim the display, so, that it does not glare. This nearly completely qualifies the reflecting GlareType-display and does not disturb in any way. So, it is even possible to use this notebook outdoors. The illumination is absolutely even, the brightness is, besides of the left upper edge completely evenly distributed through the whole display. The viewing angles are subjectively very good. At a resolution of 1680x1050 pixels everything seems pin sharp, but, for poor eyesight you should either reduce the resolution or choose a display with lower resolution. Unfortunately the reviewed notebook had a bright green pixel error at the upper display edge, despite of Zepto's statement that usually no notebooks with pixel error are delivered. The data sheet of the Zepto Znote 6625WD promises good performance. In one word: First class! In idle mode it is nearly absolutely quiet. Only on running hard benchmark tests, the fan gets clearly audible, but in no way disturbing. Even after running Aquamark multiple times the surface temperature did still not exceed blood heat. Only right beside the touch pad you can feel a very low temperature increase. Maximum volume and quality of sound are proper. 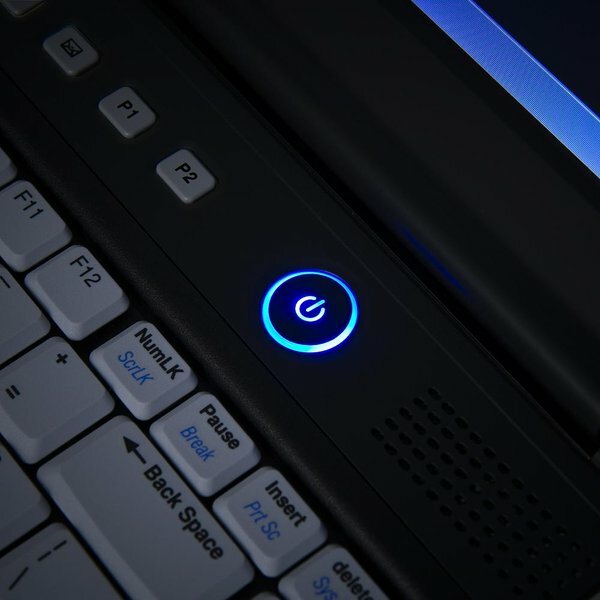 The maximum runtime of the 6-cells battery is in idle mode (without WLAN, Display at minimum brightness, CPU and GPU configured for energy saving) about three hours. This is by no means outstanding, but sufficient for mobile use. Soon, a 12-cells battery will also be available. It should be capable to nearly double the battery runtime. The Zepto Znote 6625WD convinces by its good display, the good workmanship, and its low emissions. The runtime of the 6-cells battery is relatively low, but, soon a 12-battery will be available too. So, a longer mobile use should be possible. The good display should even make outdoor work possible. 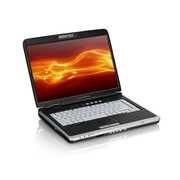 However, if you need HDMI or eSATA ports, you should rather choose a notebook like the Asus G1S. Generally, the Zepto Znote 6625WD is an absolute shopping tip! Many thanks to the forum user "maati", for this comprehensive user review. The according forum entry can be found here (German forum).